Lock in a great price for Junckers Hotel – rated 8.1 by recent guests! Location- lots of eateries around and well connected to rest of the city. Friendly and helpful staff and tea coffee free throughput the day. Very good location for my weekend stay in Freidrichshain. I was at Junckers last year too, so it was my second stint there. 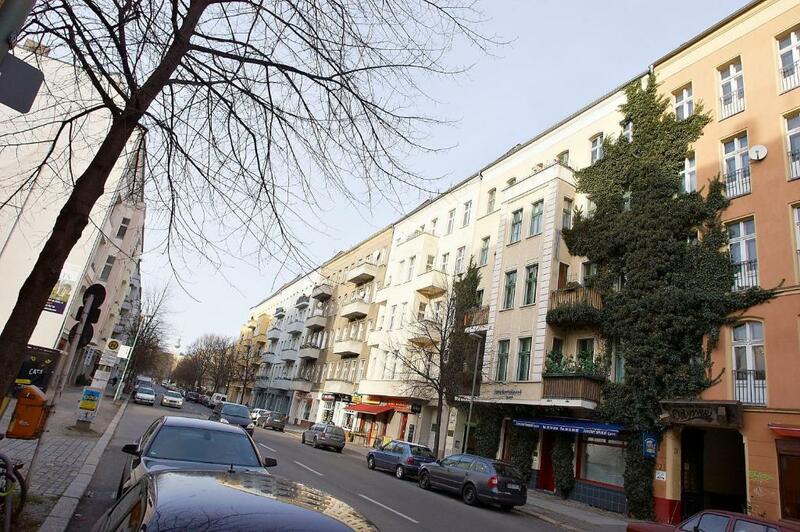 The hotel is in the Friedrichshain area, very well connected to downtown with buses and the M10 tram. The rooms are clean, essential, comfortable and very quiet. Staff was very nice and helpful. Location is perfect, in a calm street but 2-minutes walking from a tramway stop. Room was small but felt cosy, and everything was very clean. A bottle of water was offered. Breakfast was simple (no cooked stuff), but fresh, good and with enough choices (sweet/salty). 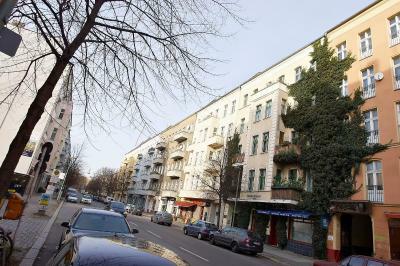 - The location is 30m by Tram M10 from the Berlin HBF station. The hotel is 3m walk from the tram stop. - The location around the hotel is residential and hence gives a good feel. Moreover the district is famous for bars and restaurants so there are plenty of them around. - The guy in the reception from 12PM to 8PM is really helpful (with specs and MMA specialist). A bit scruffy but clean. External entrance with the room keys. Location just next to the buzz, but on a quiet street. Staff is great, they're so helpful and friendly. Location is so good. 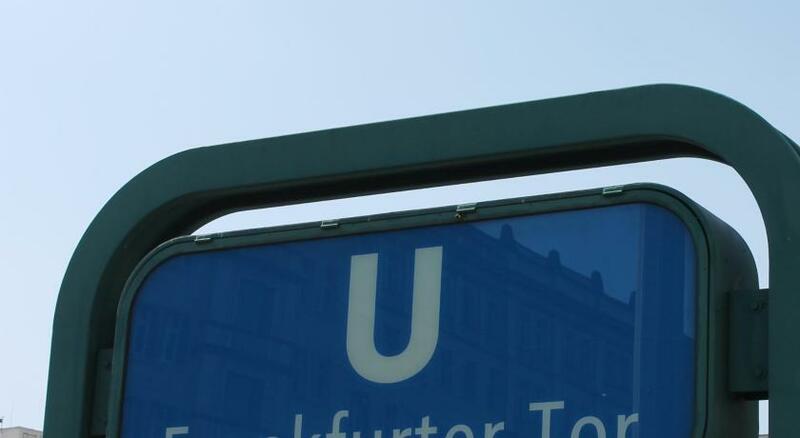 Hotel is close to Warschauer Str. (with walking it is like 10 minutes maximum) and M10 Tram is just 30 seconds with walking. Staff is not working after 8 PM till morning but you have a key for entry and you need to enter the hotel with backyard. This is so easy and I have no problem with this. I can recommend this hotel to everyone. This is a very good location and hotel for people who are in Berlin to party in the Frederichshain area... it's central, yet easy to get to many of the fun late night clubs and grungier bars if you're here to do that. The facilities are also very clean and organized, despite being in a club area of Berlin. Junckers Hotel This rating is a reflection of how the property compares to the industry standard when it comes to price, facilities and services available. It's based on a self-evaluation by the property. Use this rating to help choose your stay! One of our top picks in Berlin.Located in Berlin's trendy Friedrichshain district, this traditional hotel is a 5-minute walk from Frankfurter Tor Underground Station. Free Wi-Fi and a cozy bar are offered here. Rooms at the Junckers Hotel are traditionally furnished and face the quiet courtyard. Each features cable TV and a desk. All are nonsmoking. A light breakfast is available at Junckers. The area is well-known for its many restaurants, cafés and bars. The hotel is an ideal base for visiting the East Side Gallery and O2 World Arena, both a 10-minute walk away. Bicycle rental is available for a surcharge of 10 EUR via a third party provider. Excellent transport links enable you to reach all parts of the city quickly and easily, with trams, underground trains and S-Bahn trains all within a 5-minute walk of the hotel. When would you like to stay at Junckers Hotel? This functionally furnished room has cable TV and a private bathroom with a hairdryer. Functionally furnished room with cable TV and an private bathroom with a hairdryer. Please note that some of these rooms consist of 2 twin beds that can be separated. The other rooms offer a large double bed consisting of 2 separate mattresses that are each 31 in wide and 1.2 in apart. This room includes a shower and a sink. The private toilet is located nearby in the hallway. House Rules Junckers Hotel takes special requests – add in the next step! Junckers Hotel accepts these cards and reserves the right to temporarily hold an amount prior to arrival. If you are arriving later than 18:00, you must call the hotel in advance for information on how to pick up the key. Contact details can be found in the booking confirmation email. Guests traveling for business purposes are asked to submit their company information when booking. The rooms are outdated and you can notice that the building is old. We could hear the neighbours upstairs walking around. The location is perfect, in one of the nicest areas of Berlin. The hotel is on a quite street close to the busy area. The shower is great, the bed mattresses are hard but comfortable. The personnel is very kind. The hotel is a little dated but still excellent value. The staff are extremely helpful and the hotel is clean and in a good location. It's a short walk to the nearest tube station and even shorter to get to a tram stop. Loads of bars and restaurants around - I recommend the hotel to anyone unless you are very fussy about decor! Wifi’s very spotty. Our room had to be changed for better reception but if phone was left inactive for few minutes wifi got disconnected and log in was required again. Building too old. Great friendly staff , very clean and tidy . There was only one very small bag of shower gel which was not sufficient even for one shower. I stayed for two nights. I never have soap with me, because sufficient amount of that can always be found from the hotel room. Except this one. Even if I had had soap, there would have not been any place to put it down in the shower cabinet. I did not like this, but this was the only issue I had, so not bad. The bathroom was a bit small, but for the money good, and I would have liked to have been able to lock it without using the key. Location for the Mercedes-Benz Arena was amazing, short and easy walk away. It was a bright and comfortable room and the staff were lovely. Good choice of breakfast. Well located for town centre and sights. Close to U Bahn and trams. Just one thing. This is an oldschool hotel and when you're at room and somebody walking at the coridor, there is a lot of noise and you can hear all of this. But this is not a lot of problem for me. Just to know. The hotel was quite basic in its facilities and could be updated but for the price I have no complaints and I would stay here again. The hotel was in a great location and the staff were very friendly. We had a twin/double room on the third floor third floor that was very spacious and clean. The hotel was basic but as it was in a good location for the bars and restaurants of Friedrichstein and only a 5-10min walk to the S-Bahn. My third stay at this nicely "old school" hotel. I will be back! That during the night, the hotel is closed and you need to enter through another side of the building . If you don’t have the key with you(this happened to me) , because your friend is in the room but he’s sleeping and don’t hear the phone, you need to wait till the morning for someone to open. The ad in Booking says the hotel have a lift - but the lift doesn't go to the rooms floor (crazy). And I chose this place because of the lift, I was with really heavy luggage. It seems the bathroom's fan was never cleaned - so so so dirty! After 8 P.M. you have to use a side door to enter. Good size room, good shower pressure.